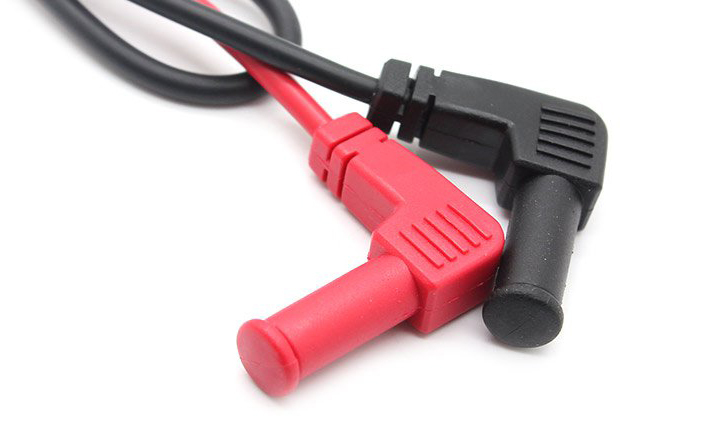 A new product in the LCR-Reader Store makes testing SMT easier with tweezer-probes that cam be connected to any multimeter with 4 mm jacks. This makes it an inexpensive alternative to much higher priced tweezer-like meters. 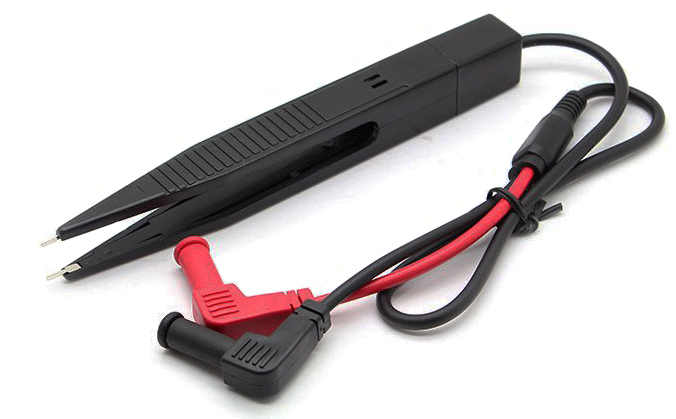 There’s a new product in the LCR-Reader Store: the SMD Multimeter Test Tweezers. These tweezer probes plug into any multimeter with 4 mm jacks to allow testing with tweezers instead of dual wire-probes, making testing components more time efficient. The small components used in electronics can be difficult to test, even more so for those on crowded PCBs. Using the long wire probes that require both hands can be cumbersome and difficult for testing the small components in today’s electronics, while also making it impossible to have a free-hand for taking notes or other tasks. Using the SMD Multimeter Test Tweezers is as easy as plugging them into a multimeter and gently squeezing components between the tweezers’ tips. The tweezers can measure components either mounted on a PCB or loose components to a 0402 size (metric code 1005) . The measurement values are displayed on the multimeter’s display. The Test Tweezers include red and black coloured wires indicating the polarity with a 40 cm cable length. The tweezers themselves are only 16.8 cm long and weigh 47g, making them portable enough to be undetectable in a bag. 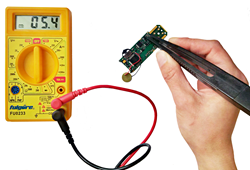 The SMD Multimeter Test Tweezers are good for all applications from testing and troubleshooting electronics to repair and maintenance; for hobby-work to professionals settings such as workshops and labs where high-accuracy is not a main concern. An advantage to this device is that they are a low-cost alternative to buying a tweezer-like LCR-meter, costing around $10 USD. Another advantage is that its functionality is the same as that of the multimeter connected to it, therefore it may offer more features compared to the LCR-Reader and other tweezer-like multimeters. In particular SMD Test Tweezers can measure voltages and currents not available in LCR-Reader. The disadvantage of this device is an inability to accurately measure small value components, the cables have a parasitic resistance of roughly 0.2 Ohms; for inductance the offset is about 1 uH, and for capacitance it is around 30 pF. SMD Test Tweezers is not a substitute to LCR-Reader which is much more accurate and capable of measuring much smaller components but rather a device that compliments other tweezer-like meters offering more functionality at a very low cost. The LCR-Reader is one of the latest models in the Tweezer-like LCR-meters from Siborg. This model is priced around $200 USD and was designed for people that wanted a tweezer-like LCR-meter but without the high price. The LCR-Reader functions the same as previously released more expensive models with fully automatic LCR-and ESR- measurements. To lower the price , some rarely used features were omitted, such as the offset subtraction, variable tolerances, and diode and continuity testing. On the other hand LCR-Reader is ultimately simplified; controlled by a single push button. Besides, LCR-Reader is the most stable model when measuring larger capacitances in a milli Farad range than other available more expensive models. As has recently been confirmed by Toronto based calibration house Navair Technologies the actual accuracy varies between 0.5% and 1% . The SMD Multimeter Test Tweezers are available now in the LCR-Reader Store. 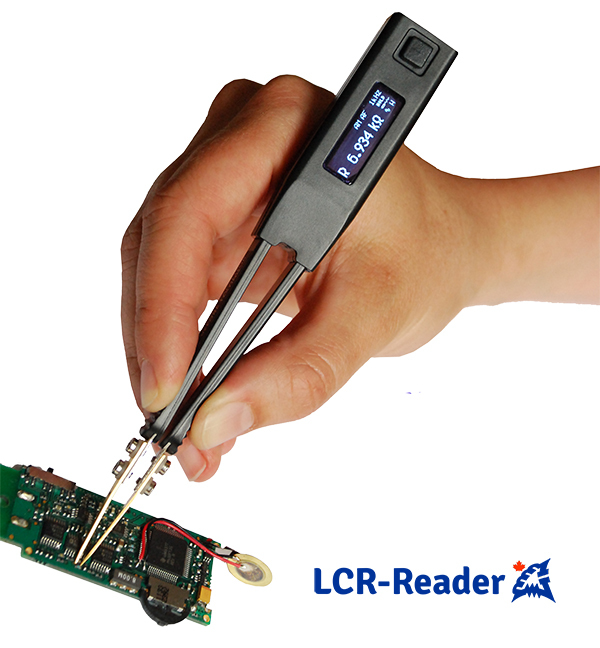 The LCR-Reader Store also offers LCR-Reader, LED Tester and Smart Tweezers LCR-meters, as well as many accessories and spare parts. Customers can buy pre-packaged “Task Kits” that include a device and accessories such as spare tips, batteries, etc. 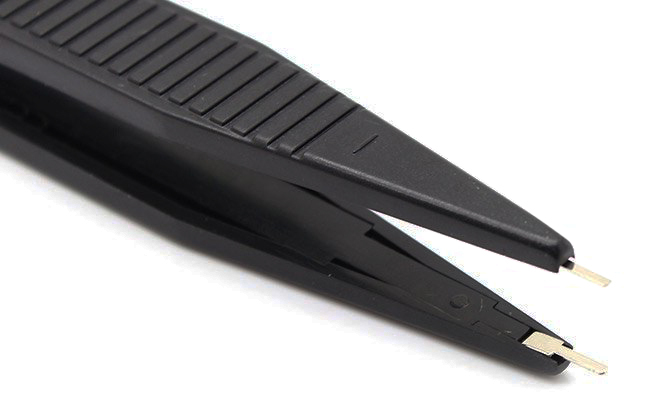 Siborg has also recently added a Bluetooth compatible Tweezer-Type device in the store that will be available mid-May.